17 For Herod had sent soldiers to arrest and imprison John as a favor to Herodias. She had been his brother Philip’s wife, but Herod had married her. 18 John had been telling Herod, “It is against God’s law for you to marry your brother’s wife.” 19 So Herodias bore a grudge against John and wanted to kill him. But without Herod’s approval she was powerless, 20 for Herod respected John; and knowing that he was a good and holy man, he protected him. Herod was greatly disturbed whenever he talked with John, but even so, he liked to listen to him. 26 Then the king deeply regretted what he had said; but because of the vows he had made in front of his guests, he couldn’t refuse her. 27 So he immediately sent an executioner to the prison to cut off John’s head and bring it to him. 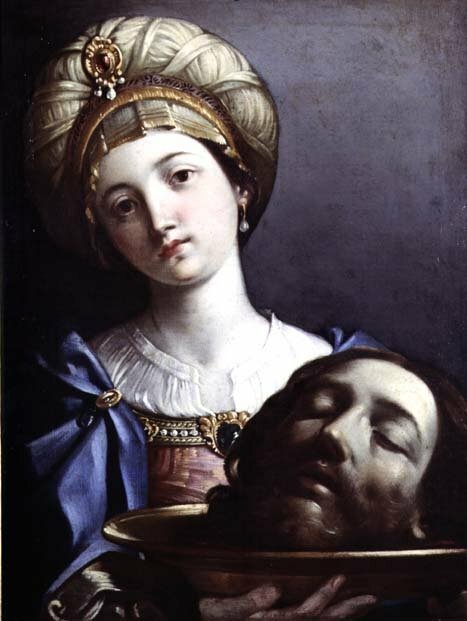 The soldier beheaded John in the prison, 28 brought his head on a tray, and gave it to the girl, who took it to her mother. 29 When John’s disciples heard what had happened, they came to get his body and buried it in a tomb. What to say about this strange story? It really interrupts the narrative flow, but not any more than the trip to Nazareth did. Between these two stories, Mark 6 is not starting off as an encouraging chapter (it will get dramatically better tomorrow and Friday). It is interesting that Jesus was doing so many miraculous things that Herod concludes he must be someone from beyond (this story foreshadows both the crucifixion and resurrection). From a practical standpoint, what stands out to me is verse 20: “Herod was greatly disturbed whenever he talked with John, but even so, he liked to listen to him.” Herod had (unjustly) imprisoned John to please Herodias, but he also liked listening to John, as though John were Herod’s caged pet, brought out to preach, to entertain, when it suited Herod, when Herod wanted to feel disturbed, then left in his cell, out of earshot the rest of the time. Some Christians treat Jesus this way, trotting him out when it suits them, when they want to feel something (even disturbed) but then shut away, removed from the everyday realities of life the rest of the time. There are also people who enjoy arguing about faith, having back-and-forth theological arguments confrontations dialogues. But neither of these forms of entertainment effects any change in the participant. Life with Jesus is not about vain discussions or only momentary emotional releases. Life with Jesus is full of action. Prayer, healing, miracles, life transformations. Life with Jesus is about real stuff. What Herod had was not real, nothing John said had any effect on him at all. Don’t let your life with Jesus be such that it has no effect on you at all. And don’t waste words with people who just want to argue. Neither ends well.